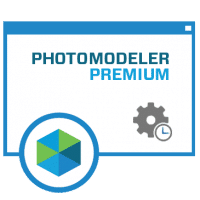 PhotoModeler Premium brings the power of Dense Surface Modeling (DSM) to your desktop. 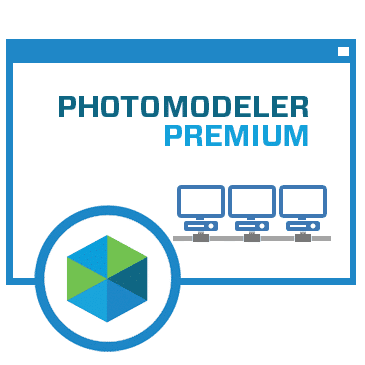 Create accurate, high quality 3D models and measurements from photographs by scanning sets of overlapping photos to produce dense point clouds and meshed surfaces. 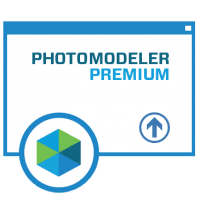 PhotoModeler Premium has all the capabilities of the PhotoModeler Standard product plus the DSM capabilities, Measurement over time, Coded Targets, Geographic coordinate systems, UAV/drone support, and Idealize. This is a permanent license. License agreement allows for a maximum of 2 simultaneous user sessions, with installation on any number of local computers belonging to the licensee. This is the base 2 seat licence, larger number of seats are also available. 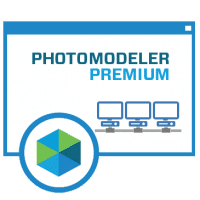 Please contact PhotoModeler Sales (sales@photomodeler.com) or add the individual seat license products. Requires a Windows share folder on a centrally accessible computer for license management. Your purchase includes 1 year software Maintenance Agreement at no extra cost, providing all upgrades and technical support, plus a 30 day money back guarantee. Product includes electronic delivery (via email) of license activation code, software download link, and supporting information. Orders are processed within 1 business day.